The Zaap network will start to malfunction as a result of your actions in the World of Twelve. Kolossium scores will be reset for this 3rd season. What do DOFUS and chocolate have in common? Both are good anytime, anywhere! In April, your MMORPG will be chock-full of vitamin-enriched, super-chocolaty adventure. They're back to right wrongs, save the world from devastation, convince everyone that their version is right, and uncover the truth. Nothing can stop them. Nada and Fax – more revealing than hottest tell-all in print – are here to save us all from… temporal anomalies! We wish you a month full of tasty adventures of the joyful kind. Prepare your taste buds! A tournament server, unrestricted participation, and €500 to win – that's what's on the menu for Inglorium, the next competition brought to you by Krosmoz Tournaments Arena! When the boundaries of what is real become blurred, when there's something strange in your neighborhood, or when unexplained glimmers seize the Zaaps, who you gonna call? Fax Mystheur and Nada Skelet, our two agents from the Office of Frankly Bizarre Affairs! And what could be more bizarre than… temporal anomalies? Starting today through April 03, the Komet pet will be yours free with any purchase of €20 or more in the Ankama Shop! Now's the time to treat yourself. Don't miss out! Have you always dreamed of being a pirate and riding the crest of roaring waves, ready to accost and board every ship you cross? Only… you get seasick… Don't be sad. Bring your inner pirate to life with the Pirate Hold haven bag! Through March 31, get this haven bag for free with your Dofus shop purchases! How are you going to stay ahead of the game with the coming upheavals? Will you find any clues in this gameplay video? He's part of the loyal, passionate, and talented players of our community. 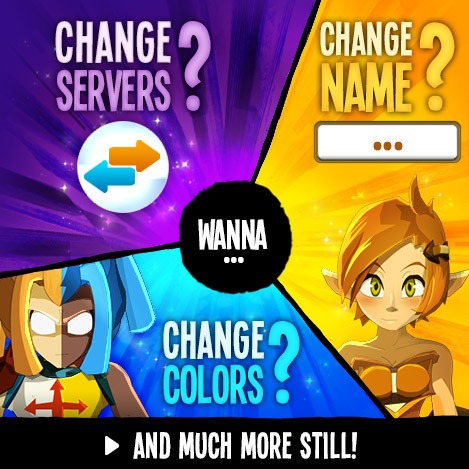 Silam (silamfanart.fr), known for creating DOFUS items, will enter the game thanks to you! To celebrate the 25th Dungeon Rusher that took place in February, we've got a surprise in store for you: Not one, but four dungeons will be available to you from March 29 through April 1! What's more, you're the one who will choose which dungeons will be included, through a short survey!